This Gluten Free Banana Pancakes recipe gives you light and fluffy pancakes that're great for those on a gluten-free diet. 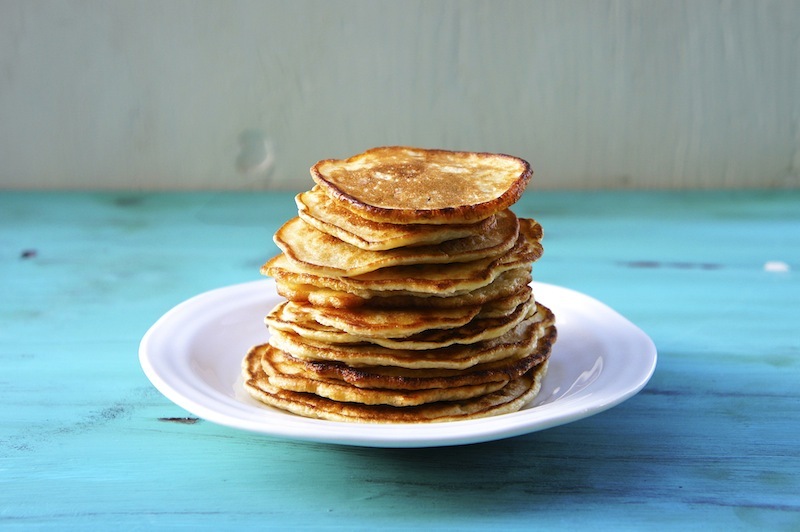 My kids really enjoy these healthy pancakes as an after-school snack. The batter is made with a combination of rice and mung bean flour, bananas, and almond milk. Try it! Serve the pancakes warm with confectioners' sugar and maple syrup, if desired. Delicious, though I had to add another 1/2 cup or so of liquid (used yogurt and milk) to get the right consistency. I also used coconut flour instead of mung bean flour, and also added a few chocolate chips for fun. Used maple syrup in the batter instead of sugar. And I fried them up with coconut oil.